Lee & I joined our friends Bev & Brian for a fun-filled 9 days in Iceland - 4 in Reykjavik and 5 in the countryside. 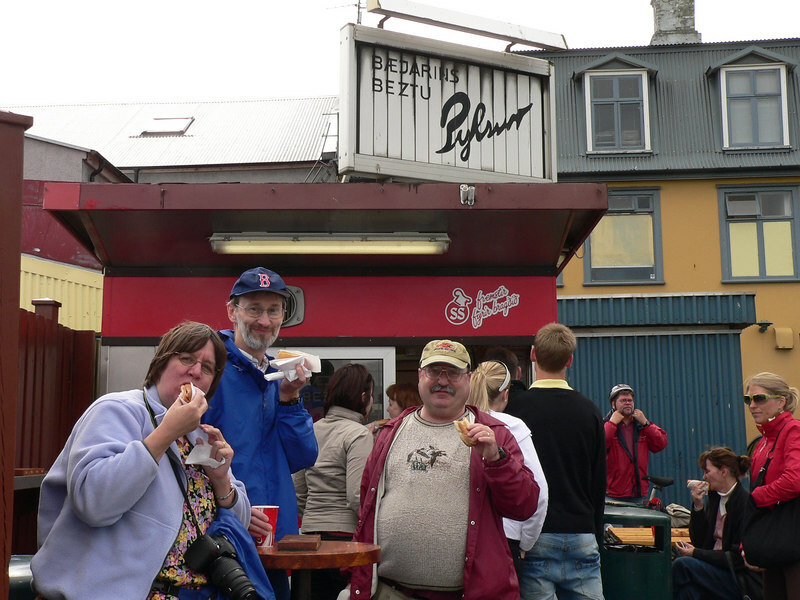 Hot dogs (pylsur) are a popular food in Iceland, go figure. There are Bev, Brian and Lee at a stand by the harbor, where Bill Clinton had a hot dog when he was in town.